The search for life is one of the most active fields in space science and involves a wide variety of disciplines. This book explores the possibility of habitable environments in the solar system and in exoplanets, and techniques for detecting life. A textbook intended for a one-semester course in Astronomy. After introductory chapters on the history of astronomy, it is narrowly focused on material directly and chronologically related to the eventual rise of conscious beings in the universe. Addressing a field that has been dominated by astronomers, physicists, and computer scientists, the contributors to this collection raise questions about the ease of establishing meaningful communication with an extraterrestrial intelligence. Where does it all come from? Where are we going? Are we alone in the universe? What is good and what is evil? The scientific narrative of cosmic evolution demands that we tackle such big questions with a cosmological perspective. Contents: early ideas; modern ideas; the new astronomy; the distribution of the stars; distances of stars - the sun's motion; unity and the evolution of the star-system; are the stars infinite? ; our relation to the Milky Way; and more. We will touch on such issues as the logical necessity of the laws of nature; objectivity, invariance and symmetry; theoretical physics and possible universes; entropy in cosmology; cosmic inflation and initial conditions; galaxy formation; etc. This book presents the history of planetary protection by tracing the responses to the microbiological contamination concerns on NASA's missions to the Moon, Mars, Venus, Jupiter, Saturn, and many smaller bodies of our solar system. Scanning the universe to see if we have company has fallen out of favor among many scientists, but the true believers who continue to search raise diverting questions -- why planets form where they do, and how life began, and where we might end up. 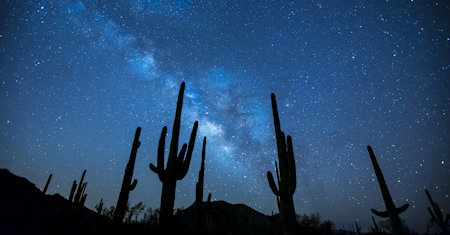 The GHZ is that region in the Milky Way where an Earth-like planet can retain liquid water on its surface and provide a long-term habitat for animal-like aerobic life. In this paper we examine the dependence of the GHZ on Galactic chemical evolution. Astrobiology aims to understand the fundamental nature of life on earth and the possibility of life elsewhere. This text has been created as a reference tool for those who are interested in this interdisciplinary field of astrobiology. The book examines and estimates the probabilities of finding planets habitable to man and where they might be found. The author presents in detail the characteristics of a planet that can provide an acceptable environment for humankind.